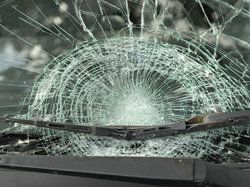 When you think of auto accidents, car crashes are probably the first things that come to your mind. However, pedestrians also face enormous dangers on the roads. In fact, while pedestrian accidents may occur less frequently than car accidents, the accidents that do occur are far more likely to have serious consequences. After all, passengers are completely unprotected, while drivers and passengers are surrounding by the metal body of a vehicle. According to the NHTSA, 4,432 pedestrians died in traffic accidents in 2011, making them one of the few groups of road users to actually see an increase in fatalities. In this blog post, the Brooklyn personal injury attorneys of Gary A. Zucker & Associates, P.C., review how pedestrian auto accidents can be avoided. Be Visible - Of course, wearing reflective clothing is especially important at night, but it is also important to wear bright clothing during the day, especially if it is gray and overcast. You should also carry a flashlight if you plan to walk at night. Additionally, you should watch for blind spots, just as you would if you were driving. In particular, you should never walk directly behind a truck since there is no way the driver could see you if he started to back up. Watch Where You Walk - Of course, you should always walk on sidewalks and designated passenger areas whenever possible. Never walk on major highways or railroad tracks. Be Aware of What’s Around You - Of course, the basic rule of your childhood still applies: Look both ways before you cross the street. However, you should also be sure to make eye contact with other drivers; it is the best way to ensure that they see you. In addition, you should remember that trucks and buses make wide right turns, and you should adjust accordingly, especially if you are walking near extra-wide load vehicles. Wearing headphones while walking along a street is never a good choice. Follow Traffic Regulations - This seems rather obvious, but far too many pedestrians assume that because they have the right of way, they are not obliged to follow the law. You should obey crosswalk signals and always stop for red lights and stops signs. Even a vigilant driver may not be able to avoid an accident if you fail to obey traffic rules. Don’t Walk and Drink - Walking along a busy road when you are under the influence of drugs or alcohol can actually be quite dangerous, since you will be less alert and less inclined to follow traffic signals. Of course, walking and drinking is preferable to drinking and driving, but your best option is to take a taxi or not get drunk at all. Pedestrian accidents, like car crashes, follow the rules of negligence, and both pedestrians and drivers can be liable for an accident. If you were injured in a pedestrian accident because of the total or partial negligence of a driver, you may be entitled to compensation. Contact the personal injury lawyers of Gary A. Zucker & Associates, P.C., to learn more about pedestrian accidents and to obtain an initial case evaluation.